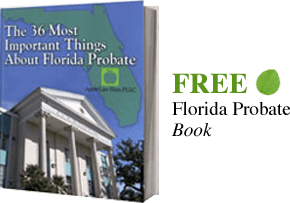 Neptune Beach Guardianship Lawyer – Our Neptune Beach Lawyers are available to assist and support you in all guardianship matters in Neptune Beach. The City of Neptune Beach is a quaint community located in Duval County, Florida. Any guardianship proceedings would be filed in the Duval County Courthouse, located in downtown Jacksonville. Guardianships may be required for an elderly person, an incapacitated person, a developmentally disabled adult or someone who is unable to care for his or her finances, health, and well being. The Court for Neptune Beach guardianship issues is located in downtown Jacksonville at 301 E. Bay St., Jacksonville Florida. Our Neptune Beach Guardianship Lawyers are knowledgeable in guardianship matters and have experience with plenary guardianships, limited guardianships, voluntary guardianships, guardianship of minors, and guardian advocacy. We can also assist you in proceedings granting temporary custody of a minor child to an extended family member.